John W. Cannavino is a Principal in Cummings & Lockwood's Litigation Group and is based in the Stamford office. He is the Chair of the Litigation Group and a member of the Board of Directors and brings over 40 years' of broad-based experience to his litigation and trial practice, representing both plaintiffs and defendants. 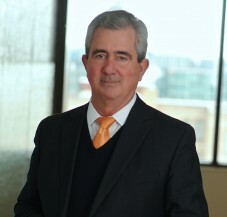 He has extensive experience in complex commercial litigation, including securities litigation; litigation between investors and hedge fund managers; insurance coverage disputes; corporate, partnership, and limited liability company disputes and dissolutions; contract disputes; environmental litigation; real estate litigation, including lease, restrictive covenant, and easement disputes; real property tax appeals; Connecticut State tax appeals, including domicile litigation; trustee and fiduciary litigation, including litigation regarding self-settled asset protection trusts; and restrictive covenant and trade secrets litigation. He has tried numerous cases in state and federal courts, including jury trials, as well as arbitrations. He has also acted as co-counsel in a number of matrimonial cases, providing assistance on complex trust and commercial issues.